use their imagination, and explore nature with a sense of adventure—all without the constant distractions of video games and digital entertainment! Take time to reflect, to share ideas among friends, to refresh on one of the most important, difficult, and rewarding parts of your life—being a parent. Rediscover the joy of dinner conversation and telling stories, and relax—all three meals are catered every day! Imagine a week of Family Summer. A short description of the best all-inclusive vacation for your family. ​Spots are filling up! ​Apply Now! To pay the amount shown in your statement using PayPal, please use the button below. 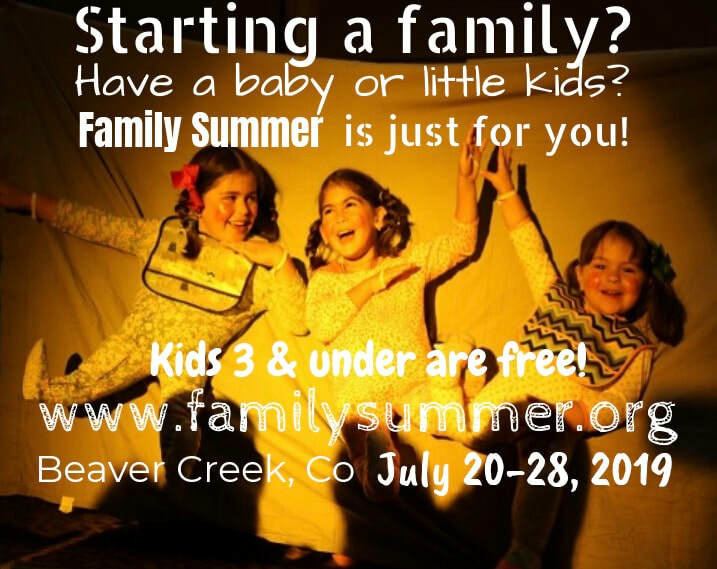 Family Summer is a not-for-profit organization that seeks to make available to all families the parenting formation resources of IFFD. If you wish to help us make this a reality, please consider making a donation that will go towards sponsoring families that would benefit from these programs. By clicking DONATE on the right, you can use Paypal or any major credit card to contribute to Family Summer. No contribution is small. We really appreciate your generosity. Thank you!